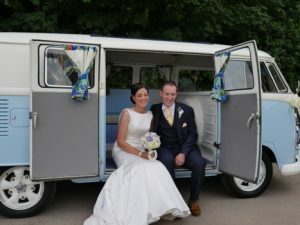 Our VW Campervan Wedding Car is now ready for hire for the wedding season. 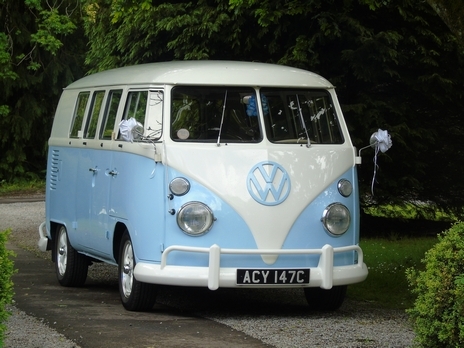 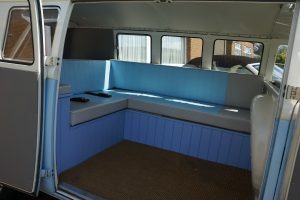 Our latest addition, Nancy is a beautiful powder blue and white VW Campervan Wedding Car. 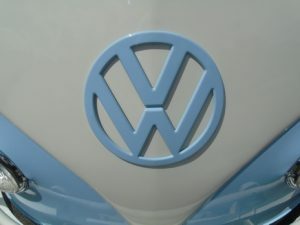 Originally from Sweden she was born in 1965. The bus has a lovely L shaped layout which perfectly compliments her colour scheme. 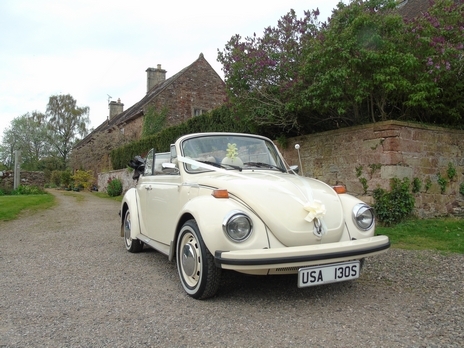 Nancy joined the LoveBugs just over a two years ago and is a firm favourite already. 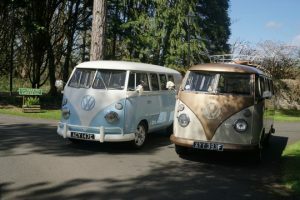 She suits many couples’ vintage colour schemes and styles. 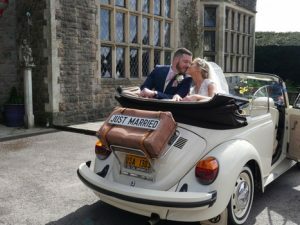 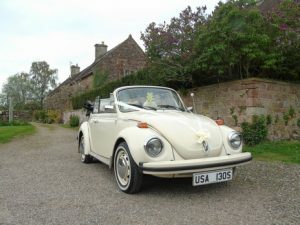 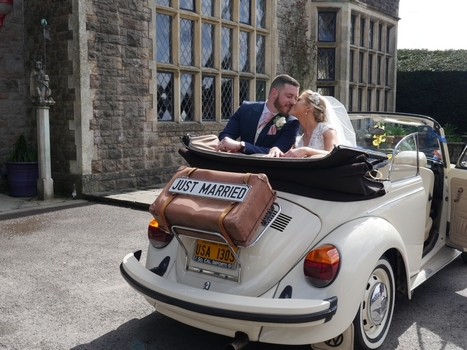 Like all our other VW Wedding Cars for Hire, she has a fantastic sound system. We usually play period music, which really adds the retro touch to your big day. Want to book Nancy, our retro VW Campervan Wedding Car?